is a windmill in which the buck or body is supported by a main post and revolves so that the sails can turn into the wind. is a windmill that has a wooden tower set on a brick or stone base and has a wooden cap that revolves so that the sails can turn into the wind. A smockmill is named after a countryman's smock, due to the shape of the tower. 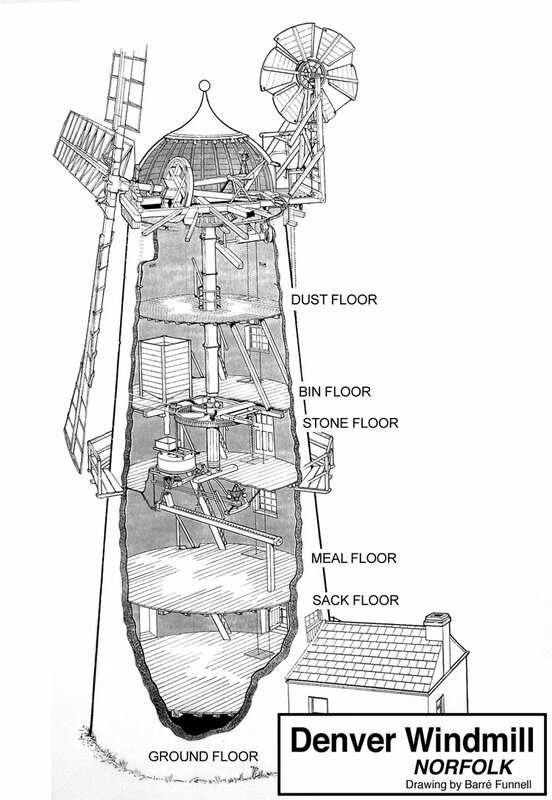 The internal layout is similar to that of a towermill. is a windmill that has a tower made of brick or stone that has a wooden cap that revolves so that the sails can turn into the wind. 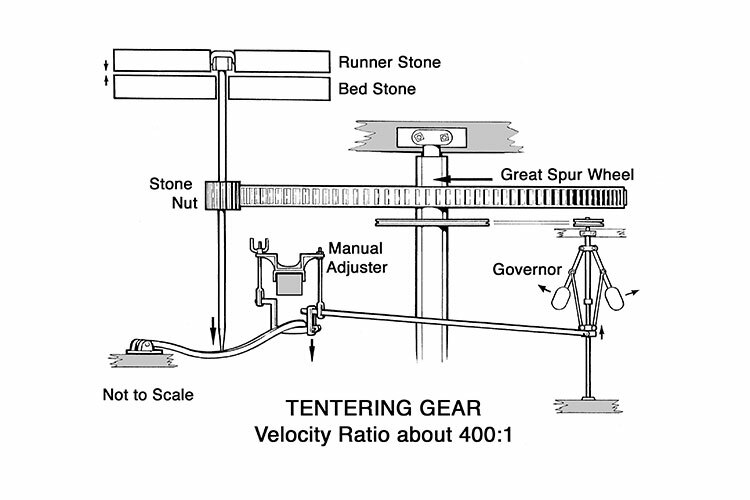 Mill stones worked in pairs.The bedstone was stationary and the runner stone rotated above it, hung on a vertical spindle. The milling faces of the stones were given deep furrows and grooves that helped braeak up the grain. Over time, these furrows wore down with use and had to constantly be recut, a process known as dressing the stone. Stone dressing was arduous, difficult and time consuming. Many millers dressed their own stones, but they also employed itinerant satone dressers as well as millwrights. A special tool called a mill bill was used to dress the stones. This was a sort of chisel bladed pick made of a high quality tempered steel. It was mounted on a wooden handle or thrift. Stone dressers were recognised by the bits of steel embedded in the backs of their hands that had flown off the mill bills as they cut the millstones. This is the origin of the saying, Show us your metal. Until the mid-l9th century, many villages had wind or watermills to grind flour for the community. Before Henry VIII's dissolution of the monasteries commencing in 1539, most mills were owned either by the Church or by the Lord of the Manor. Milling rights were jealously guarded, and villagers would have been allowed to grind corn only at their landlord's mill. The law at that time required flour to be ground only at your Lord's mill - known as his "Right of Soke". The miller charged up to 10% of the grain, and the landlord frequently took a further cut. At that time bread made with flour from English wheat was very different to that which we know today; it was very much heavier and little risen. The best milling wheat would later come from America where, because of the climate, the grain was harder and produced a stronger flour (containing a higher proportion of gluten). After the repeal of the corn laws in 1846, plentiful supplies of American wheat became available. This gave a significant advantage to mills based near the major seaports. 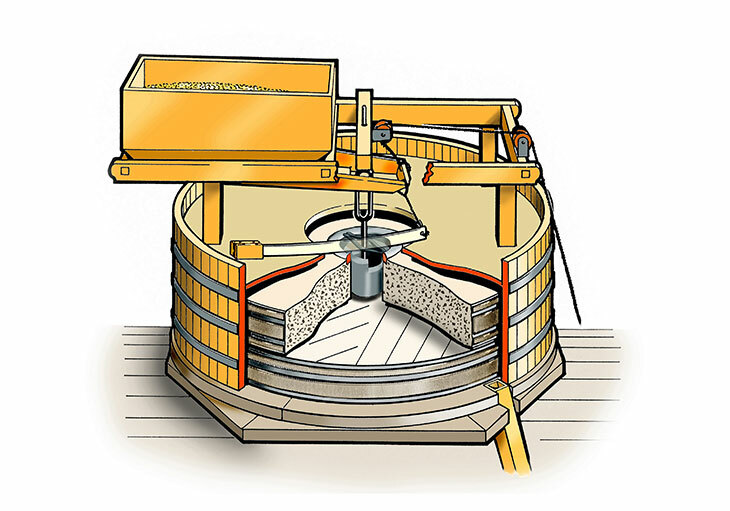 At about the same time, a more efficient milling process was invented in Germany; in this the grain was crushed between two steel rollers, rather than ground between millstones. 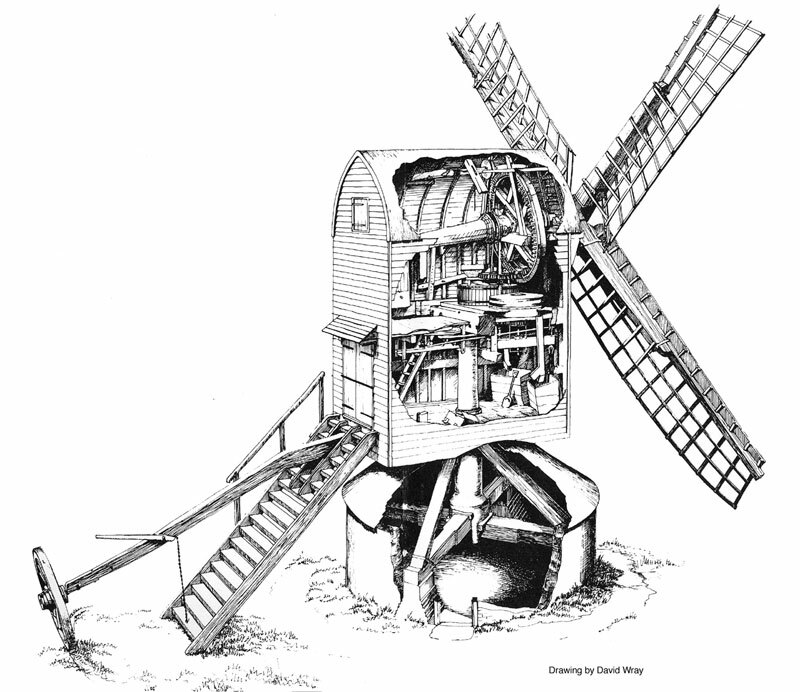 By the mid to late nineteenth century, many of the old watermills and even windmills were adding steam, gas or oil engines in an attempt to compete with their modern counterparts. They could not survive however against this early form of mass production and by the beginning of the twentieth century most were reduced to the grist milling of animal foodstuffs.